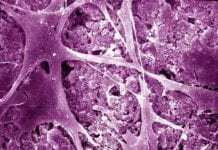 Although the plasma membrane (or cell membrane) had already set the boundaries for the inside and outside cellular environment, many cells are still encircled by a wide array of insoluble components. For instance, the cells of bacteria, plants and algae, and fungi are enclosed by a rigid structure called the cell wall. We will explore the functions, structures and types of cell wall. 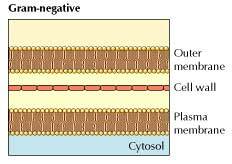 The cell wall is a tough semi-permeable membrane that is located outside the cell membrane. 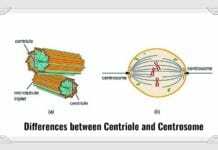 This cell wall plays an integral role in the cell and has numerous functions. Depending on the type of organism and the type of developmental stage it is in, the cell wall itself is highly variable. 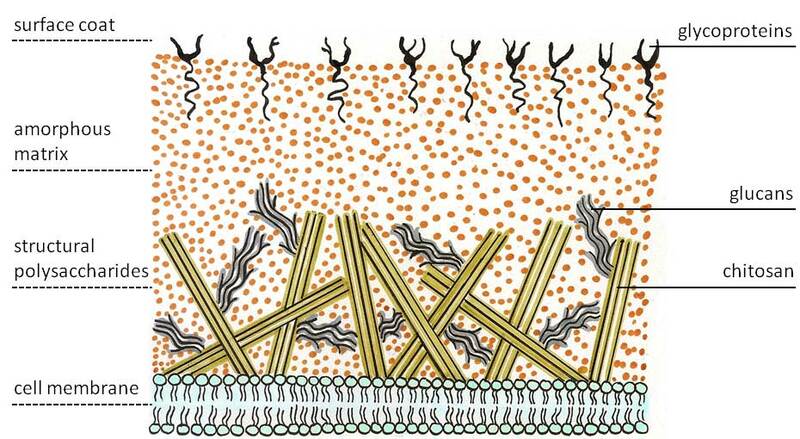 Bacterial cell walls are responsible for the maintenance of the cell shape and the prevention of cell lysis (cell bursting due to high osmotic pressure). The Gram staining procedure developed is based upon the ability of bacteria to take in and keep the crystal violet stain (those that will retain it are considered to be Gram positive and Gram negative if otherwise). Gram negative bacteria are characterized by having a two-membrane system where there is an additional outer layer of permeable membrane to the plasma membrane. The cell walls of these bacteria are usually thin and are found sandwiched between their inner and outer membranes. An example of a Gram negative bacterium is the Escherichia coli (or E.coli). On the other hand, Gram positive bacteria are characterized by having only one plasma membrane that is covered by a relatively thicker cell wall. Examples of Gram positive bacteria are the common pathogens Staphylococcus aureus and Streptococcus (both responsible for respiratory infections), Corynebacterium diphteriae (responsible for diphteria), and Bacillus anthracis (responsible for anthrax). Even with such differences in structure, the main constituent of cell walls of bacteria is the macromoleculepeptidoglycan . This macromolecule is composed of linear chains of polysaccharides linked by peptides, and as a structure, serves as the foundation of cell wall that defines the shape of bacteria and attaches protein complexes to the surface of the cells. Interestingly though, peptidoglycan makes bacteria vulnerable targets for antibiotics. The main function of the cell wall in bacteria is to provide protection by encircling the cell’s cytoplasm with a tough material. By doing so, it avoids the entry of foreign material that may harm it. Another important function of the cell wall is the maintenance of the cell shape and prevention of bursting due to the difference in osmotic pressure of the intracellular and extracellular environment. In addition to that, the cell wall also prevents extensive water loss. Aside from enabling transport of (some) substances in and outside the cell, the cell wall is also responsible for facilitating cell-to-cell communication. This function is attributed to the biochemical and physiological activities that occur in the cell wall. Unlike those of the prokaryotes, the components of eukaryotic (higher plants, algae, and fungi) cell walls are mainly polysaccharides. The basic structural component of the cell walls of higher plants and most algae is cellulose. Cellulose is a polymer of glucose residues that are connected via β(1→4) linkages. The cell walls of fungi, on the other hand are made up of the polymer chitin. Chitin is a polymer of N-acetylglucosamine residues that are also connected via β(1→4) linkages. Chitin is also the structural component of arthropod exoskeleton. It is important to note that while plant cells and fungal cells are composed of different material; both are still made up of carbohydrate polymers. 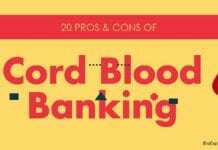 Hence, they possess almost the same attributes and functions as well. 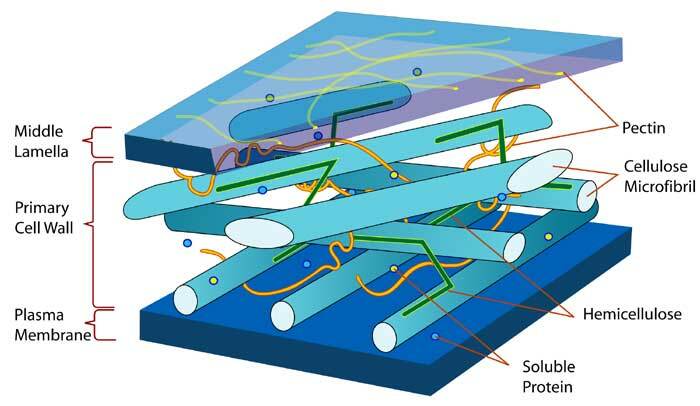 The composition of the cell wall (cellulose in plant cells and algae and chitin in fungi) makes it very ideal to function as a structural support of the cell itself. Aside from that, the cell wall also is the one responsible for controlling the growth of each individual cell. One of the most important functions of the cell wall in plants and fungi is the resistance to turgor pressure. While the turgor pressure is important to keep the cells rigid, too much of it can break the cells. Hence, a sturdy structure is needed to balance such force. In these kinds of cells, the cell wall functions to remind the cell to enter the cell cycle and divide. Moreover, it also facilitates diffusion, being it as a semi-permeable membrane, allowing the entry of some materials and substances. In relation to the above function, the cell wall also acts as the protective barrier for foreign materials and substances that are about to enter the cell. Furthermore, the cell wall is important for retaining water inside the cells. In plants, the cell wall is not a totally impermeable membrane. In fact, there are holes (referred to as plasmodesmata) that serve as connecting pathways among neighboring cells. Such pathways allow the transfer of products like nutrients, ions, and even waste materials. Although much has already been known about the biosynthesis of cell walls, there still remain large mysteries about its three-dimensional structure and organization, physiological activities, and nature during cell division and growth. So now, after knowing the tremendous importance of the cell wall to living organisms (i.e. 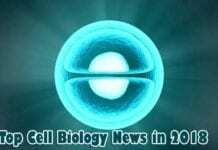 bacteria, plants, and fungi), why do you think has evolution allowed animal cells to develop without it? Cite this article as: "Cell Wall: Types, Structure, and Functions," in Bio Explorer by Jack Kirsten, May 21, 2017, https://www.bioexplorer.net/cell-wall-functions-types.html/. – “Medical Definition of Gram-positive”. Accessed May 21, 2017. Link. – “Peptidoglycan.” Encyclopedia of Life Sciences. Accessed May 21, 2017. Link. 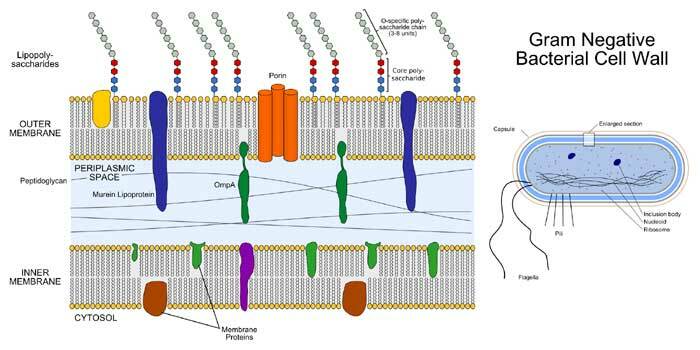 – “Bacterial Cell Walls: Structure, Function & Types – Video & Lesson Transcript | Study.com”. Accessed May 21, 2017. Link. 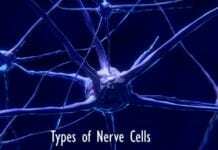 – “Cell Walls and the Extracellular Matrix – The Cell – NCBI Bookshelf”. Accessed May 21, 2017. Link. – “Structure of Cellulose Microfibrils in Primary Cell Walls from Collenchyma”. Accessed May 21, 2017. Link. Next articleTop 25 Extinct Birds From Millions To Zero!